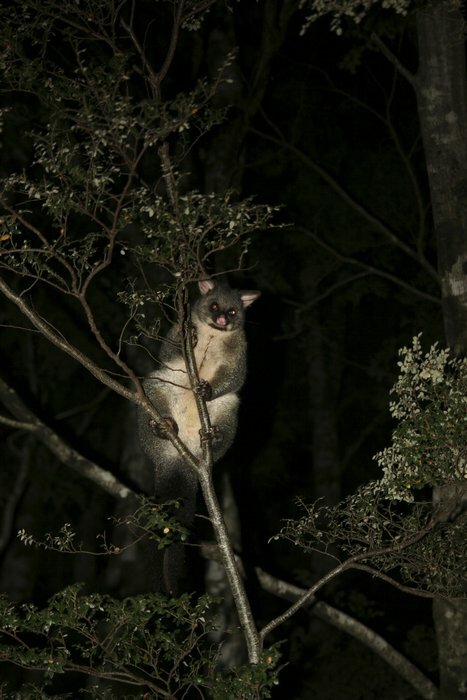 Nocturnal Common Bushtailed Possum (Trichosurus vulpecula) in New Zealand. This introduced species is a major ecological threat currently to New Zealand's ecosystem and vegetation. Photo © copyright by Johnathan Ampersand Esper.